Everyone tries to sell their products on Amazon, so it’s no surprise when a few items go under your radar. But once you know where to look, you can always find the weirdest, coolest, best, or even the most discounted products on Amazon. Right now, Amazon’s database is so huge that it feels cluttered, and you need different clutter-free websites to browse the catalog. You essentially need to change the interface, ditching the regular Amazon site for something new. Whether that new interface is by Amazon itself or a third-party, it’s a good way to uncover products that you don’t easily see otherwise. You know how this works with other sites now. You press a thumbs-up or a thumbs-down icon to show if you like or dislike something. Based on that, a smart algorithm shows other things you might like. It’s how Netflix knows what you want to watch, and Amazon is now using it to show you products you might like. 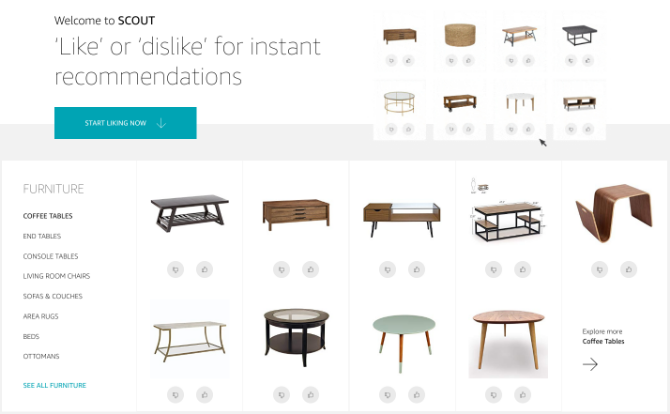 A new site, Amazon Scout, uses the like-dislike mechanism to figure out which kind of items you like in your home. Currently, the categories include furniture, home decor, bedding, lighting, kitchen and dining, patio, and women’s shoes. Scroll, click the like or dislike buttons, and Scout will show you new items based on that. The big difference from shopping on Amazon is that Scout is completely visual. You don’t view the details of the item, you only judge it by its looks. As the machine learns your aesthetic senses, it will serve up better matches. Consumer Reports is known for its no-nonsense, unbiased recommendations. But you need a subscription to read their list of items to buy. CRwatchdog has taken that list and turned it into a handy resource for anyone. Currently, the site covers four topics: electronics, appliances, home and garden, and car deals. 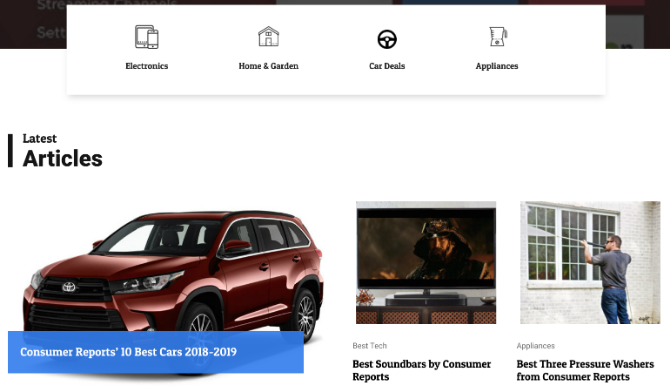 That last one is particularly important given Consumer Reports is well-respected in that field, and has one of the best YouTube channels for automotive enthusiasts. You can search CRwatchdog, or quickly browse the “all recommendations” article for each category. Note that you won’t find why Consumer Reports is recommending these items. Instead, you’ll only get a list with a small description of each product. If you want to know why it’s the best, you’ll still need that subscription. 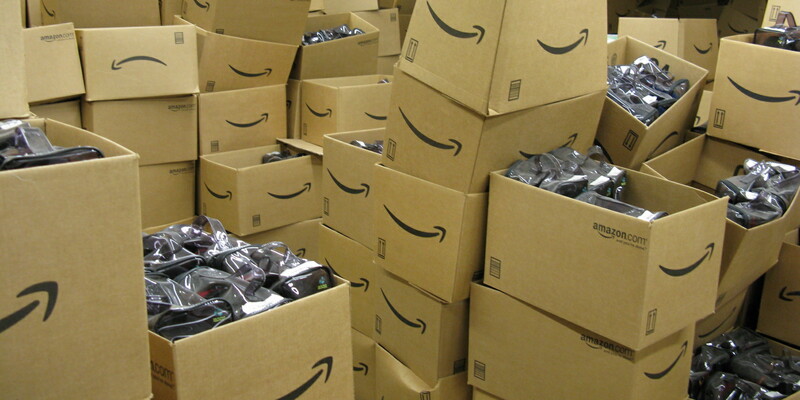 Like any seller, Amazon wants you to pay the highest price it can get. But if you’re smart, you can save some big bucks. This is why Amazon hides some deals and discounts, putting them in hard-to-find parts of the site. One such type of deal is an “open box” item. “Open box” items are things that are returned by users and the original packaging is damaged. Typically, these are unused items, often listed as “Like New” since it wasn’t used but was pre-owned. JungleFlip tracks down these items in good quality so that there’s one place for you to look at them all. New products are added every hour in a clean interface. You’ll see the item’s picture, its retail price, and its discounted price. From a $ 175 air conditioner selling for $ 30, to $ 200 jackets for $ 50, you’ll find some incredible deals here if you check regularly. 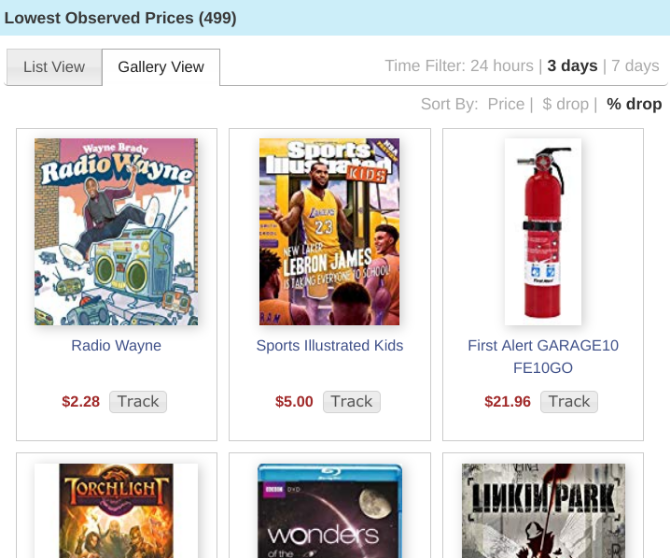 Price comparison apps like CamelCamelCamel will let you track price drops on any item, and see its price history. It’s one of the best tricks to shop on Amazon, but if you aren’t tracking the item, you won’t know about it. That’s why you need Lightning Drops. Lightning Drops is automatically tracking every single item on Amazon and has an excellent “Lowest Observed Price” section. In here, you can see which products have reached their lowest price in history. The products are categorized by those found in the past 24 hours, the past three days, or the past week. Now that you have this cheat sheet of items that have dropped in price, you might be able to pick up some amazing deals. Most of these are not limited-time deals either, they are long-term price cuts. Sometimes, you see a weird item and go, “Why would anyone make that?” Well, DIY projects can be weird, it’s all about personal taste. But then some companies decide everyone is that weird, so they turn it into a bizarre product and sell it on Amazon. Come, my fellow weirdos, and gaze upon the hand-curated collection of wonderful weirdness at Isn’t This Weird? (ITW) Try your hand at three-player chess on a circular board. Gift your grumpy friend a “smile maker” to teach them how to smile. Get yourself an avocado saver so that you don’t waste half of it. These are the things you know you don’t need, but you still want. ITW also makes it easy to browse, in case you don’t have an insane keyword to search. 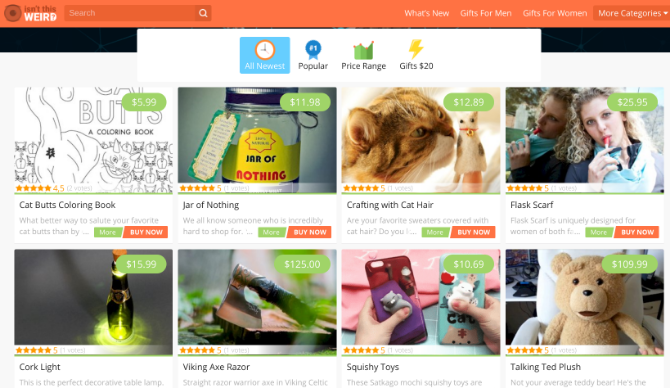 Look for gifts under $ 20, the most popular weird items, or gifts for men/women separately. There are a few other category-based listings too. Between these five sites, you should be able to find something useful or kooky without being overwhelmed by Amazon’s cluttered design. In fact, even if you search for things on Amazon, you might not get some of the items listed on these websites. That’s partly Amazon’s fault because it has made the search function weaker than it needs to be. But as always, it’s about knowing where to look. If you learn how to use Amazon’s Advanced Search, you will almost always find exactly the item you are looking for. It’s not too difficult either, so spend some time reading this article if you’re a regular shopper on Amazon.